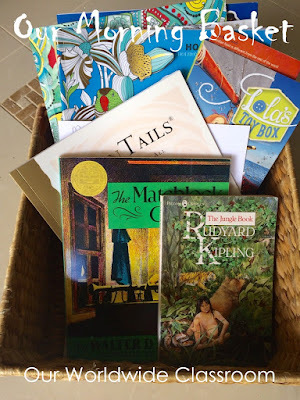 This is the fourth and final week of the All Australian Not Back To School Blog Hop, hasn't that gone fast! I hope you've enjoyed reading all of the different thoughts and ideas posted by all of the bloggers. If you missed any previous weeks, links to them can be found at the bottom of this post. This week we are taking a fly on the wall approach and sharing a Day In Our Lives. Like most homeschoolers no two days really look the same here in our house. I have chosen to document what is as close to a regular school day as I can. These days occur at the most three times a week. Once a week we have our micro school day and once a week we have co-op, so that leaves us three days for some type of structured learning at home, if we aren't out on excursions and the like. And decided to call it a day. So far this year we have no extra curricular activities on Wednesday evenings, so that means a lovely quiet evening at home together, trying to stay cool! Your Turn - Add Your Links Or Click On One Of The Images To See What Others Are Getting Up To. Thanks for joining in on another great year of the All Australian Not Back To School Blog Hop. Want More Day In The Life Posts? 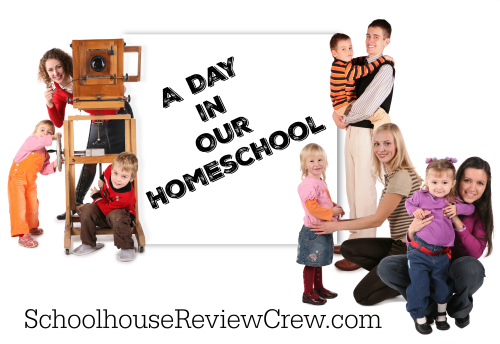 Visit the other Schoolhouse Crew 'Day In The Life Posts' by clicking on the image below. 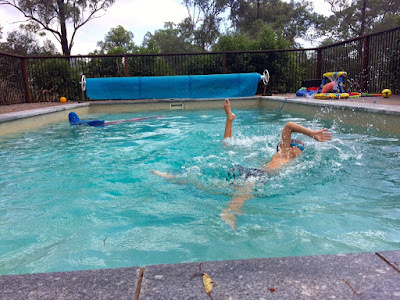 Here we are with the third installment of this years All Australian Not Back To School Blog Hop. Have you been keeping up with everyone's posts? This week it is time to share our learning spaces. I think it is fair to say that the vast majority of homeschoolers don't use one single classroom space. 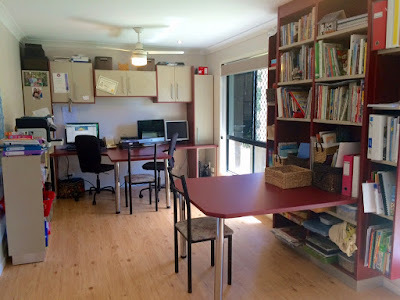 They utilise everything around them but for the ease of this post I'm sharing our main home office and library room. If you've followed my blog for any length of time you will have seen most of this before. 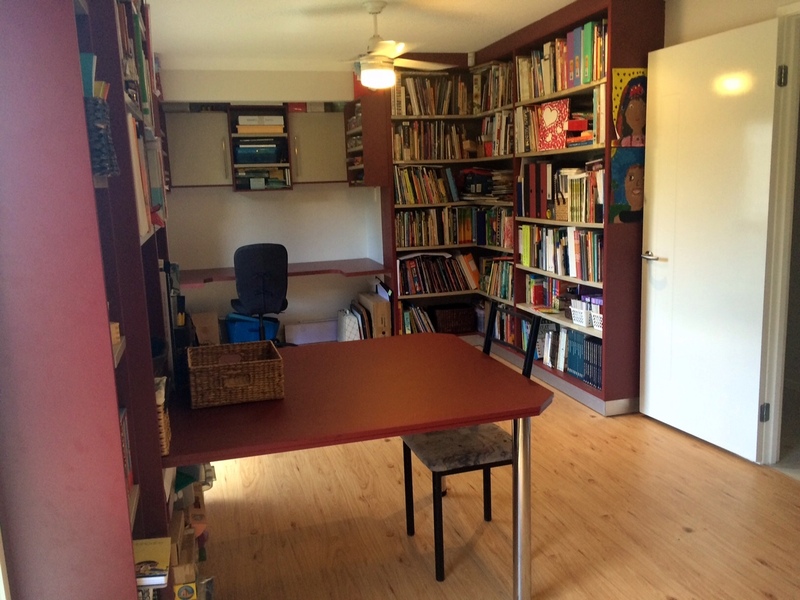 The room most likely contains more books than it did a year or so ago as our library continues to grow. We've also added this additional work space. My youngest turns 8 this year and no longer enjoys sitting at a little desk, so we now have a third work space option here in this room. I love that this centre piece is big enough for all three of the kids to sit around if wanted. Whilst it is still a work in progress the book shelves in this area hold mostly Australian materials. 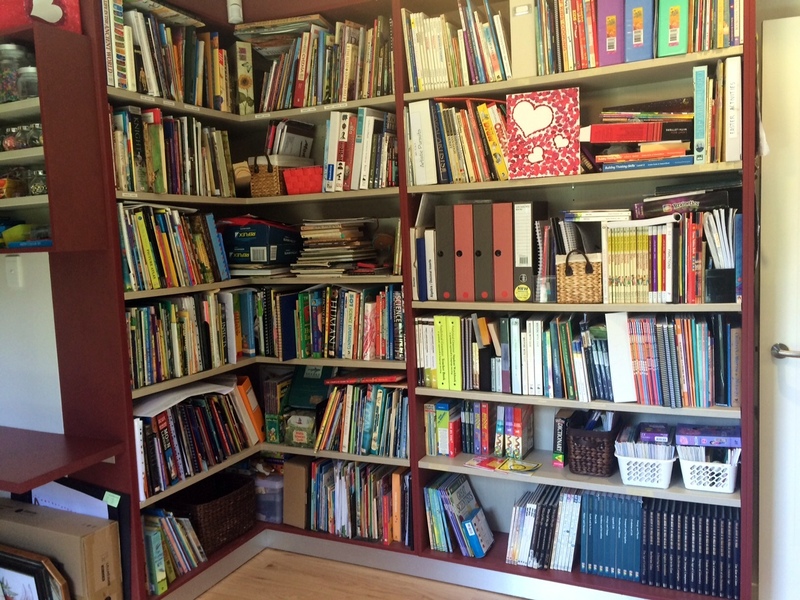 On the shelves underneath are a few of our hands on manipulatives and resources. The vast majority of these are stored in a cupboard in another room though. This is the main larger corner bookshelf unit where all of our curriculum books are housed. 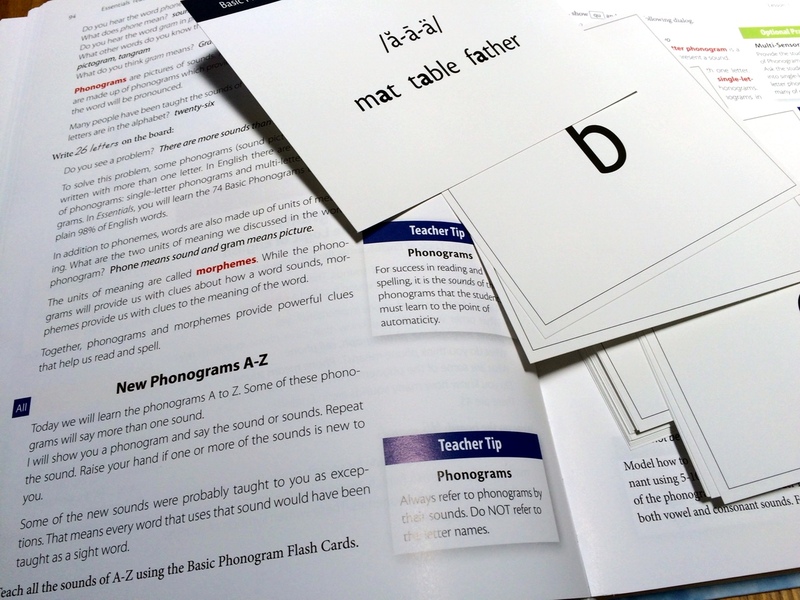 They are either grouped by subject or theme. It's kind of messy right now and could do with a good clean out but, this is real life and mostly that's what the shelves tend to look like. One day I will be brave enough to actually do a little video walk through of the shelf unit so you can see more closely what's on there. Looking For More School Room Ideas? 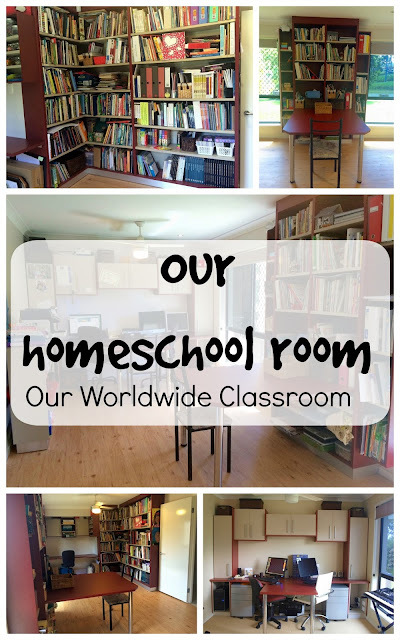 Simply click the links below to check out how others use their spaces to homeschool. 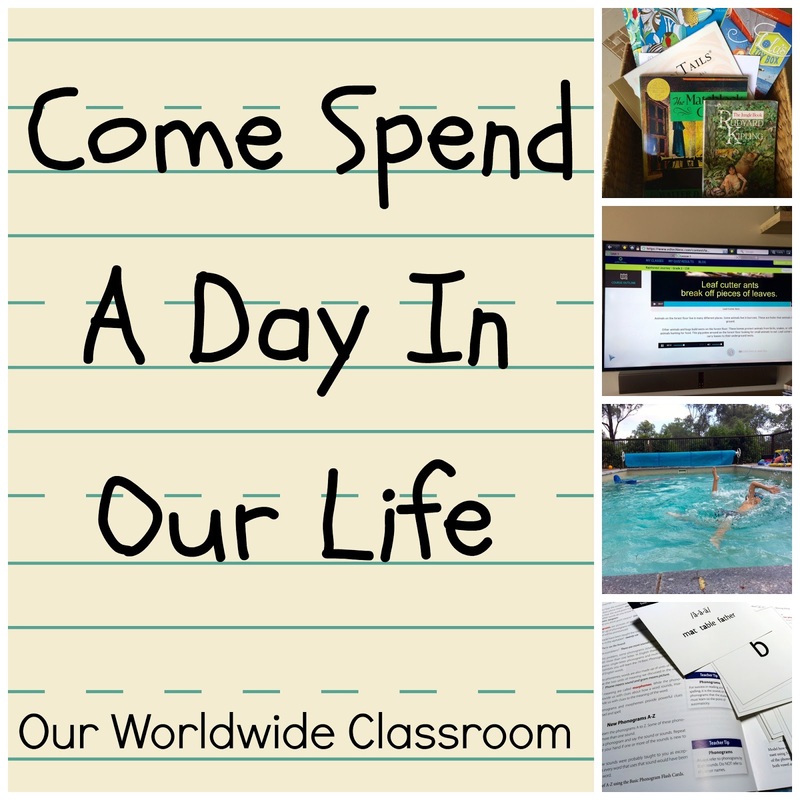 Link up your home school spaces blog posts below. 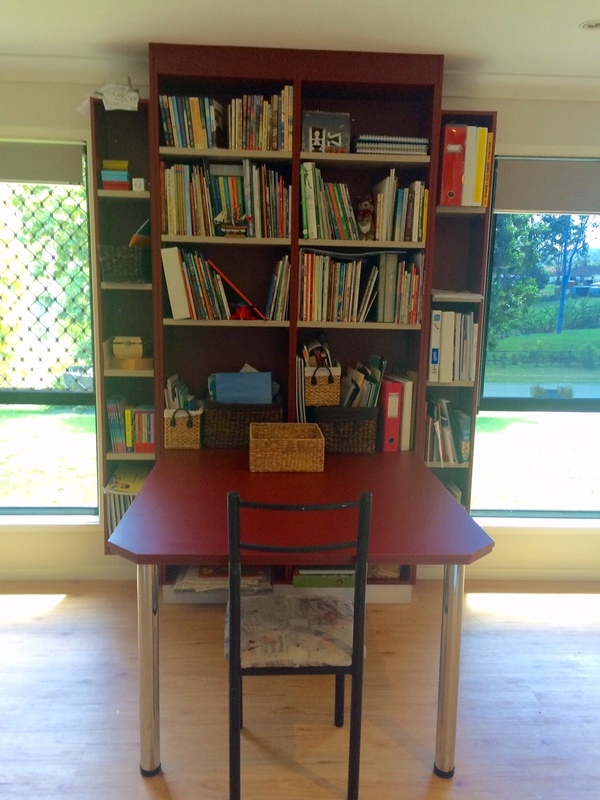 Looking for even more ideas on learning spaces and organisation. Have a look at my pinterest board. Follow Our Worldwide Classroom's board Homeschool: Organisation on Pinterest. 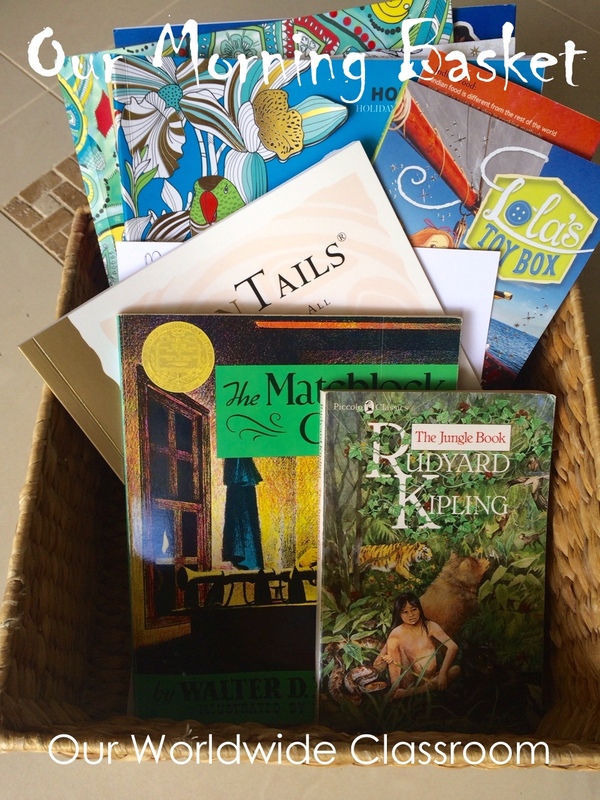 Here we are, week two of the All Australian Not Back To School Blog Hop. If you missed the first week go back and have a little look around over there first. This week we are all writing about 'Why We Are Grateful For Homeschooling'. I think I could probably go on for quite some time with this list but I've tried to keep it fairly succinct. We also have complete freedom in choosing exactly how education looks like in our home. This has differed over the years depending on the kids, our family circumstances and any other extra curricular items that may come into play. In some ways flexibility has also been covered under freedom. Although what I will refer to here is the flexibility of our educational path. Because I wholeheartedly trust in this process I can truly allow the kids to work at their own pace. This is not to say that I don't have periods where I freak out, worry, cry and poor my heart out about how much so and so is struggling. Because I have absolutely done all of those things, however when I get over myself and my fears I always come back to trusting the process and trusting the child. And I have to say that this has never failed me, yet! 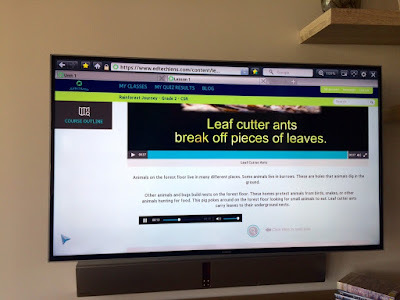 Whilst we are a curriculum using family I piece together each year exactly what it is my children will use, based on the areas they either need to work on or have an interest in. I am beyond grateful that I have that level of flexibility. For our family I could think of nothing more stifling to not only the kids learning styles but to my teaching style, than having to work through a prescribed program with not much scope for adding to it or taking some things away. I understand that this works for some families and that's great for them, but they aren't us and this is where flexibility really comes in to play. Each family truly can choose what is best for them. Clearly this goes without saying. There are so many demands and pressures on all of us today, I couldn't begin to imagine what it would be like for our family if we were all separated for most of the day. I do know for sure that we would barely know each other and for having the gift of time with my children I am truly grateful. And yes even on those days when a completely quiet home and three kids in school seems like a great idea! Friendships are important for us all but what I am grateful for is the opportunity for my kids to forge solid deep meaningful friendships with people of their choosing and whilst it doesn't always work out that way but when friendships form between the parents also then it's a double win. Our friendship choices are based on people we genuinely enjoy being around, not who we are told we have to be around. Seriously we could fill our entire lives with field trips alone and what an amazing education for all of us it would be. But what I'm most grateful for here is in the timing in which we can choose to schedule our field trips. We can and often do take advantage of low season or off peak times for visiting places. This not only saves us money but it generally provides a more relaxed visit due to less people being out and about in general. At the end of the day home educating your kids at home will cost you what you want it to cost you. For us we choose to travel over paying school fees. We know how truly blessed we are to be able to provide this lifestyle for our children but to travel is absolutely the best way to learn about the world we live in. My children have the benefit of an education that is tailored to their needs, wants and desires. They have a 1:3 teacher ratio and they often have the experience of participating in classes and workshops where group work is key. They truly have the best of both worlds. 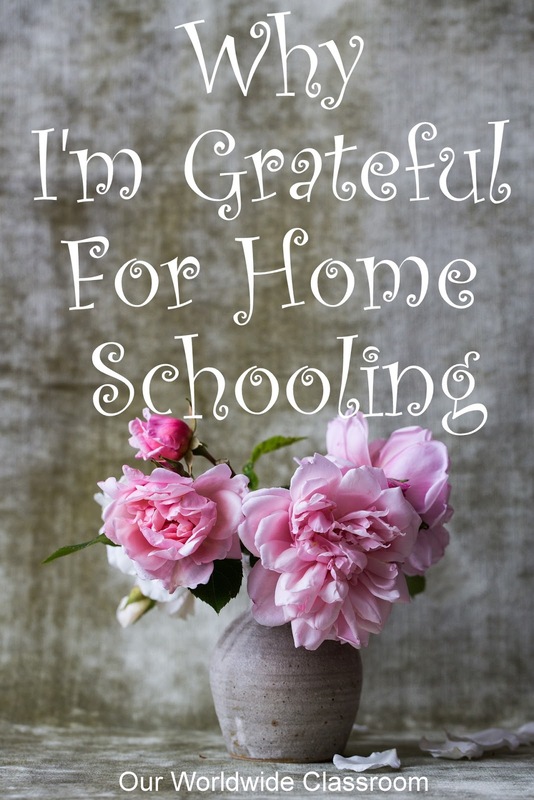 None of these points will be true for all home educators, this is simply my personal thoughts on some of the reasons Why I'm Grateful For Homeschooling. Keep reading below to see some of the reasons other Australian Homeschoolers are grateful for their opportunity to homeschool. Our pinterest boards are brimming with ideas for your year ahead. Everything is broken into categories, subject areas or themes. Now it's your turn. Link up your posts on why you are grateful for homeschooling below.